Many of you will have seen fairly recently a new beauty hack claiming to be a cheap alternative to those expensive foundation primers around at the moment. The Hack? Men's shaving balm. I kid you not! With a range of different balms to choose from, I went for this Sensitive balm with 0% Alcohol inside, as I have quite sensitive skin. It's a cute little white glass bottle and is only around £5 to pick up at your local supermarket or drugstore! So does it really work? As far as I've seen, yes! I've been using this beauty secret for about 2 months now and not once has my makeup come off or sweat down my face. So, I think we've actually done it girls! Screw the expensive primers that you spend £30 on and find out a day later it can't keep your makeup in place for 2 hours, let alone a whole day. Grab yourself a little bottle of this and you'll be laughing! 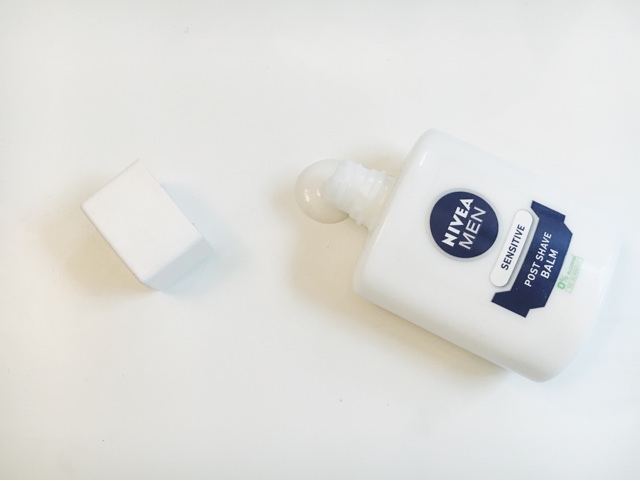 Nivea for Men Post Shave Balm is a runny white liquid, that could, if you ask me, be made to look a bit nicer, it does kind of look like something else.... But hey, a little goes a long way with this as you literally need a drop about the size of a 5p coin. This means that the bottle will last forever! 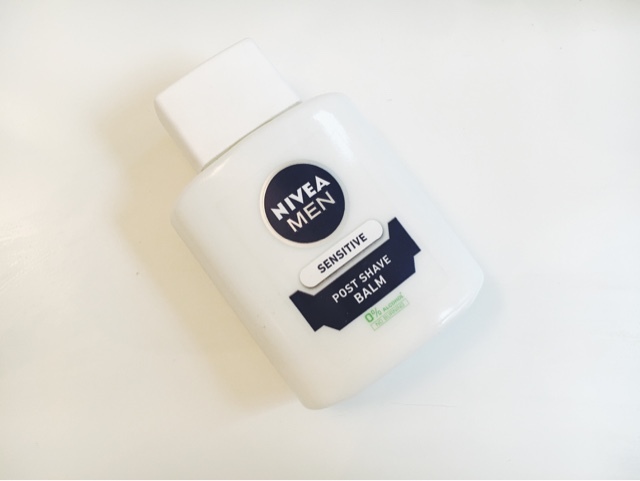 Originally designed to soothe and smooth men's faces after they've shaved, the balm is cooling, moisturising and refreshing. I've seen bloggers complain about the smell of it.. It essentially just smells like men's aftershave a little bit. But I actually really like the smell! It gets masked by makeup anyway so no one else can smell it. Once you've smoothed it all over your face, got it into the books and crannies around your nose and eyes, let it dry a little bit. It will become tacky to touch. This is what makes your foundation stick to it so well! I have seen some negative reviews of this, which claim it doesn't keep makeup on for the whole day, and that it should only be used for what it was intended. But I say, if you use it liberally, let it set a couple minutes and use a setting powder after your makeup, it will last the whole day. And hey, it's a fraction of the price of usual primers! I still use pore filling primers underneath to smooth over my complexion, but that's only in small areas, such as my cheek and nose. I apply a little bit of Benefit's PoreFessional and then add this balm on top. The main advantage of using this every day before I apply makeup is that it also doubles as being part of my skincare regime. Since using this, my skin has become super smooth and now use it in place of my usual moisturiser as this actually is 10x better than that also. So girls, steal your partner's bottle or head down to your local store and pick one up. Even if it's just to wear under a light foundation or to take on holiday if you don't want to take your most expensive makeup, this inexpensive little bottle could save you loads! Not just in money, but also save you from having to reapply make up half way through the day. Have you tried this new beauty hack? Or know of any other cheap alternatives to primers? I'm glad to hear this hack is worth the hype, definitely need to pick one up!